The asteroid is forecast to speed inside the moon’s orbit at 27,300 miles (43,935km) – an eighth of the distance between the Earth and the moon. The ESA says it is far enough to just miss our geostationary satellites orbiting at about 22,000 miles (35,405km). “It will not hit the Earth, that’s the most important thing to say,” said Detlef Koschny of ESA’s near-Earth object research team. 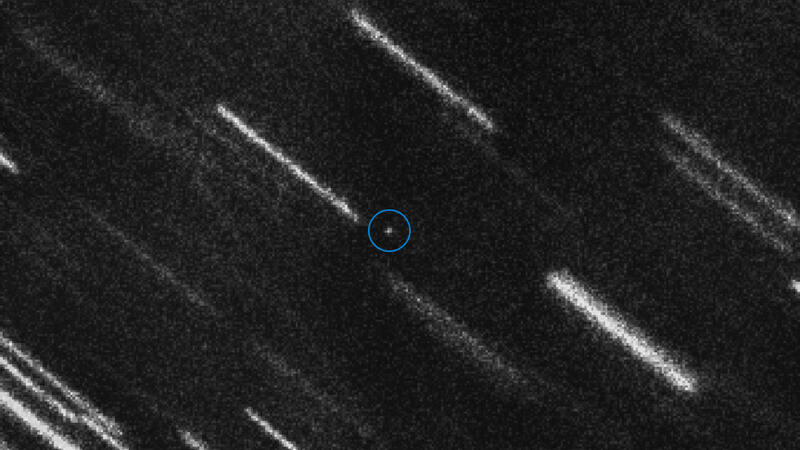 The small asteroid, about 15-30m long (49-98ft), has been dubbed TC4. It first passed Earth in October 2012 at double the distance, before disappearing. The original observations revealed its next approach would be in October 2017, but its orbit meant it could not be tracked. However, the European Southern Observatory’s Very Large Telescope, in Chile, has now located the rock and determined its distance. “It’s damn close… this is indeed a close miss,” said Rolf Densing, who heads the European Space Operations Centre in Germany. The ESA said the asteroid’s pass is an excellent opportunity to assess man’s ability to respond to a “real asteroid threat”.